The Great Dane has great reasons to be referred to as the “Apollo of All Dogs”! Its size and stature are comparable to the most illustrious Greek God of the Sun, Apollo. It is believed that Great Danes have descended from a mix of Wolfhounds and old English Mastiffs. Later on, the Greyhound was added to the breed to make it even greater. 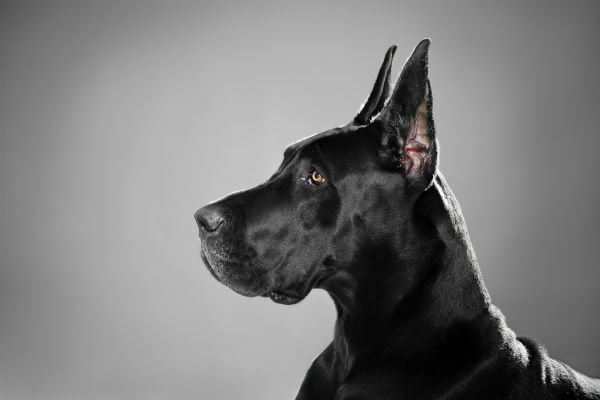 Read on to find out ten lesser-known facts about the Great Dane. The image of the Great Dane was found on Greek coins from as early as 36 BC. Drawings of this breed have even been found on ancient Egyptian monuments. The weight and height of Great Danes will leave your jaws hanging. An adult Great Dane can weigh up to 175 pounds and can reach a height of 32 inches. So, brace yourself! Contrary to its name, the Great Dane is not Danish. It originated in Germany to hunt boars. The size and strength of the Great Danes made it the ultimate dog breed to take on dangerous boars. 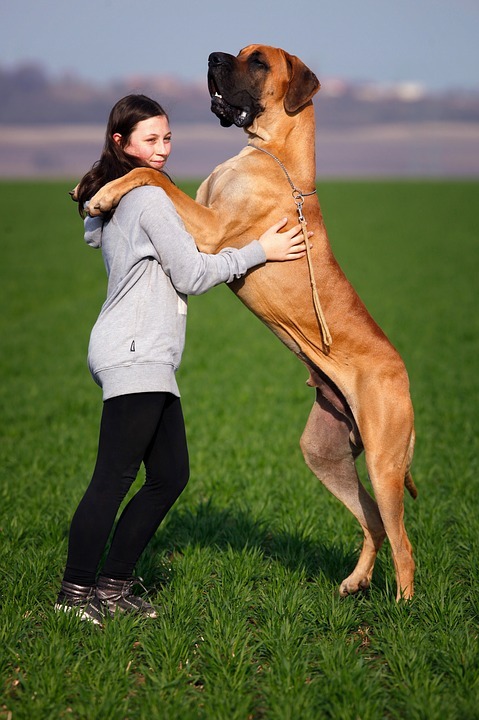 The movement of the Great Dane, despite its size, is not clumsy. This breed has a long stride and moves with a power-packed drive. So be aware! 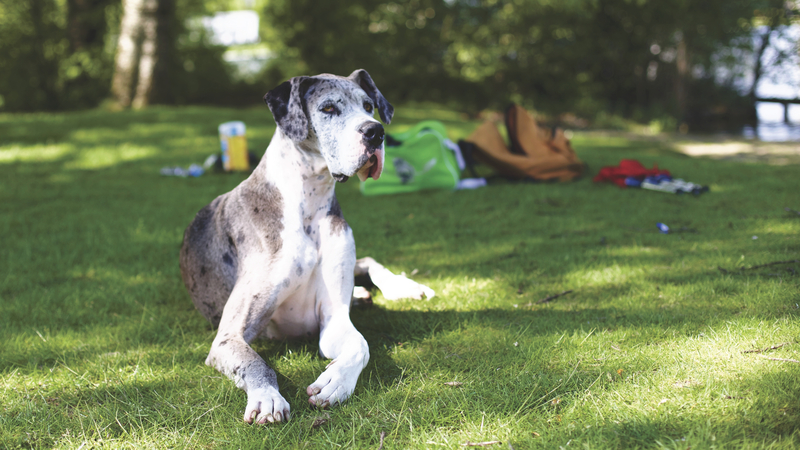 The never-failing courage and spirit of Great Danes also make it the “Apollo of All Dogs”. In addition, they are always dependable and friendly. They love to be around people. Great Danes have a heart as big as their size. They are kind, friendly, and great with kids. Hence, be gentle with them too! The Great Dane is also affectionately called the Gentle Giant because of their sweet temperament coupled with their big size. Great Danes are not the most energetic of dogs, but they need their daily exercise and appreciate playtime. The Great Dane will seldom let out a bark unless the circumstances demand it. The huge size of the Great Dane breed translates to a huge appetite. So, when deciding to adopt one, be prepared to spend sufficiently on its diet! The majestic appearance, the regal physique, and the Himalayan size of the Great Danes make them the “Apollo of All Dogs”. These dogs are equally affectionate and gentle. Thus, they make great pets and companions and can be left alone with children. They truly combine the best of both worlds with their powerful stature and their gentle soul. Do you own a Great Dane? Care to share with us any comments? We’d love to hear your experience! So, please feel free to comment in the box below.